Diamond four piece large sectional sofa has a u-shape design and tons of features. 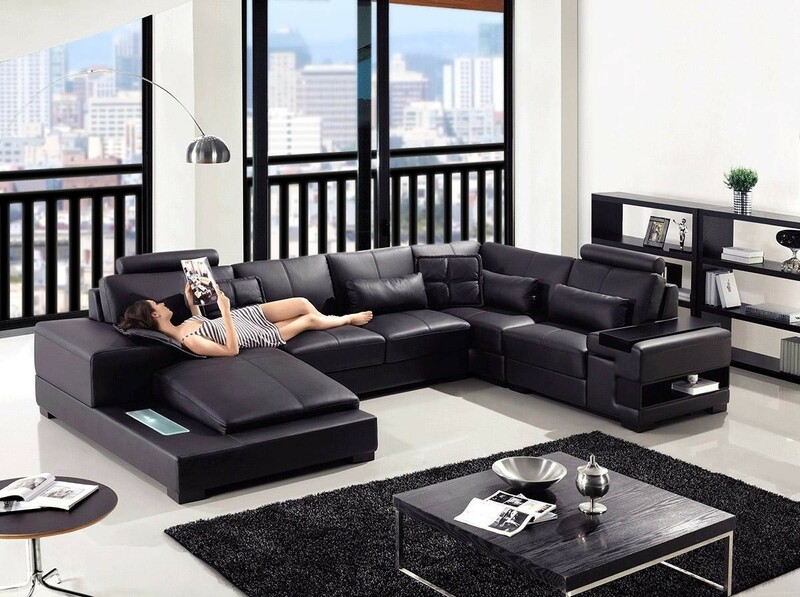 Upholstered in black Italian leather this contemporary sectional has tons of space for a large company. Bookshelf under the armrest, adjustable headrests, throw pillows and ambient lighting in the chase so you can relax in style.